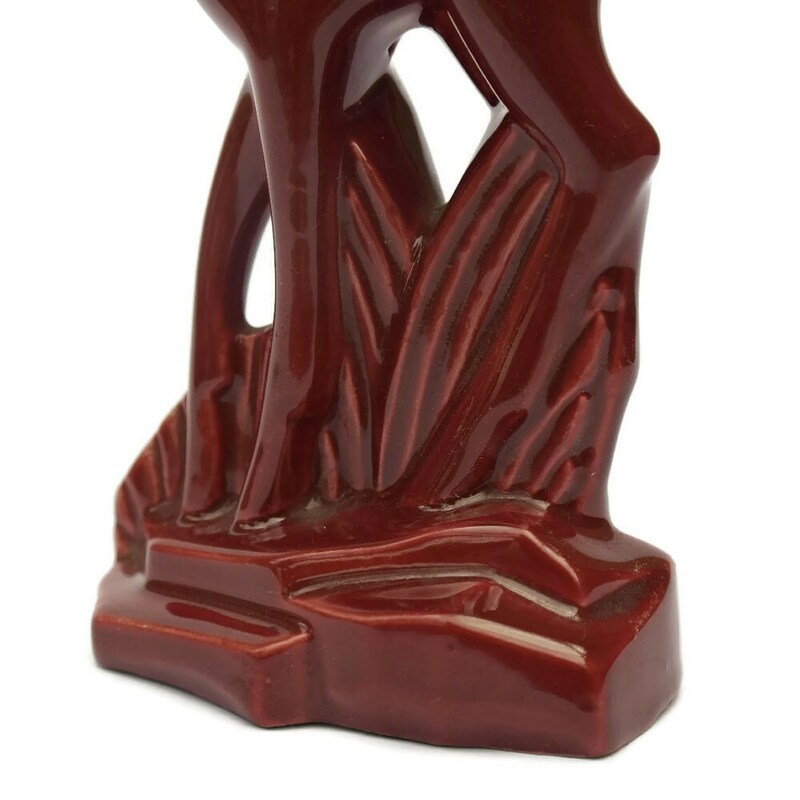 Ceramic Art Deco Gazelle Figurine. 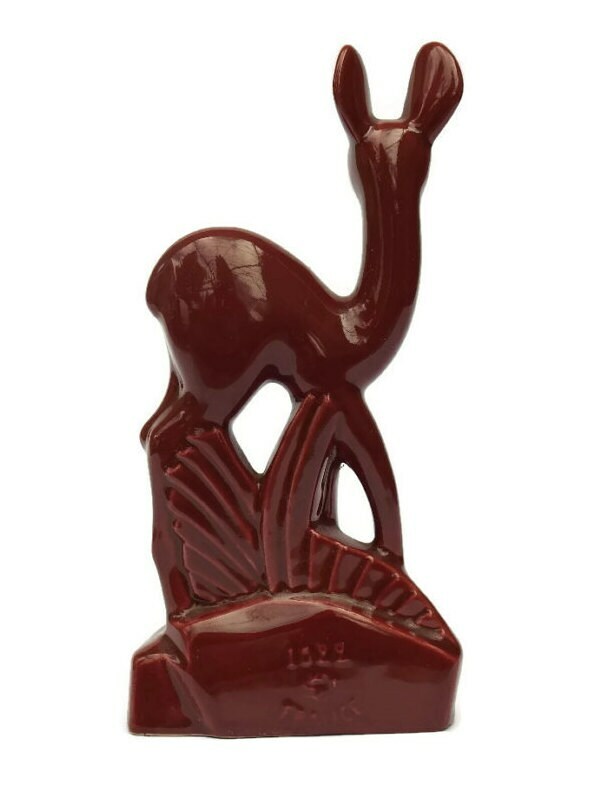 Vintage French St Clement Majolica Deer Statue. 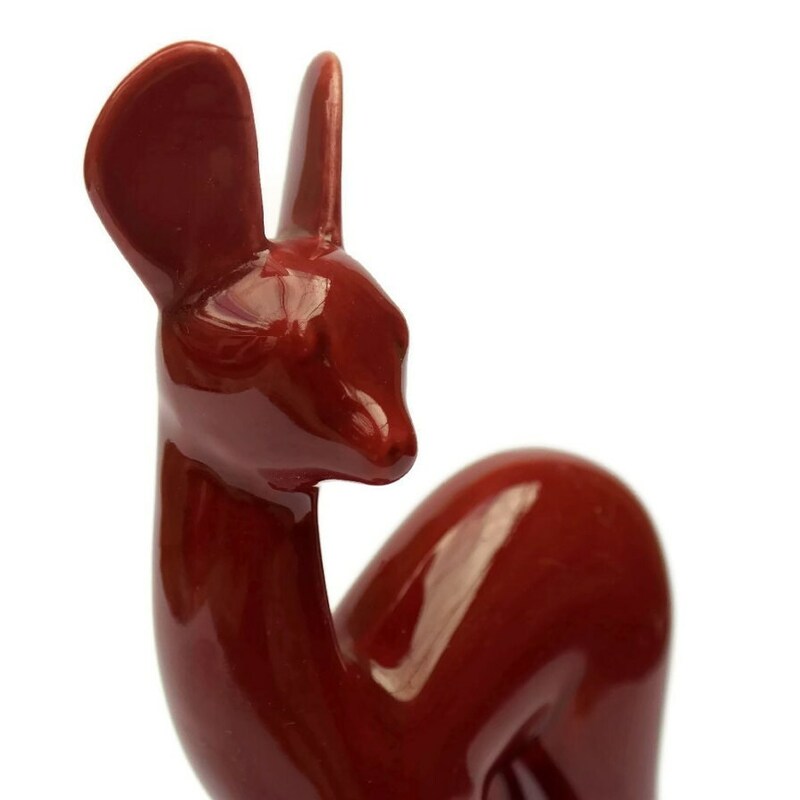 This adorable Art Deco figurine has been created from glazed ceramic in the form of a little gazelle or deer. 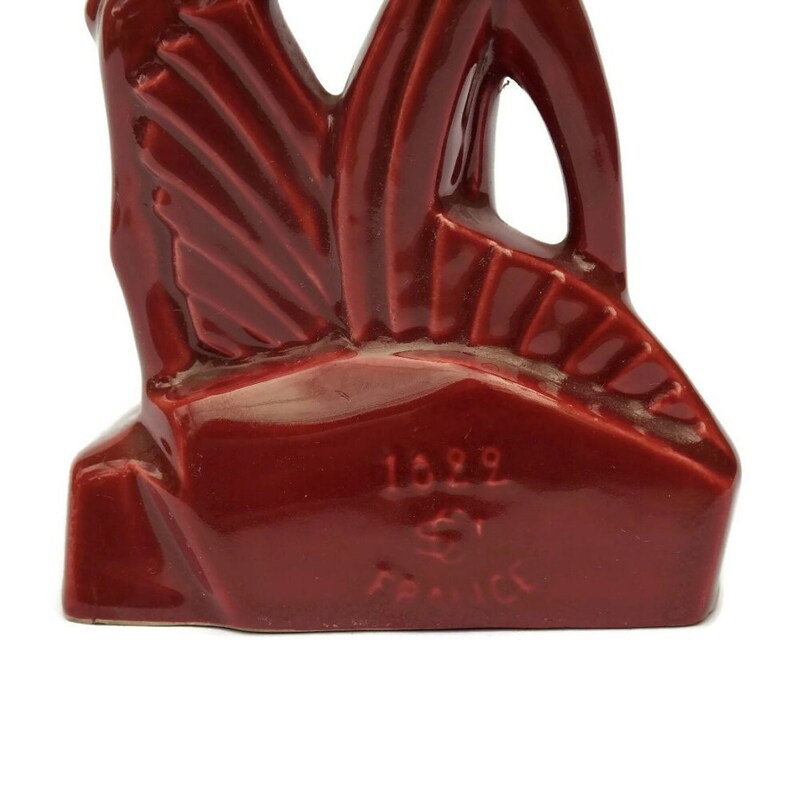 It was created by the renowned French pottery company, St Clement in the 1930's and has been glazed in a deep shade of cranberry. The base has the manufacturer's mark and pattern reference number. 7 1/2" High x 4" Wide (19 cm x 11 cm). 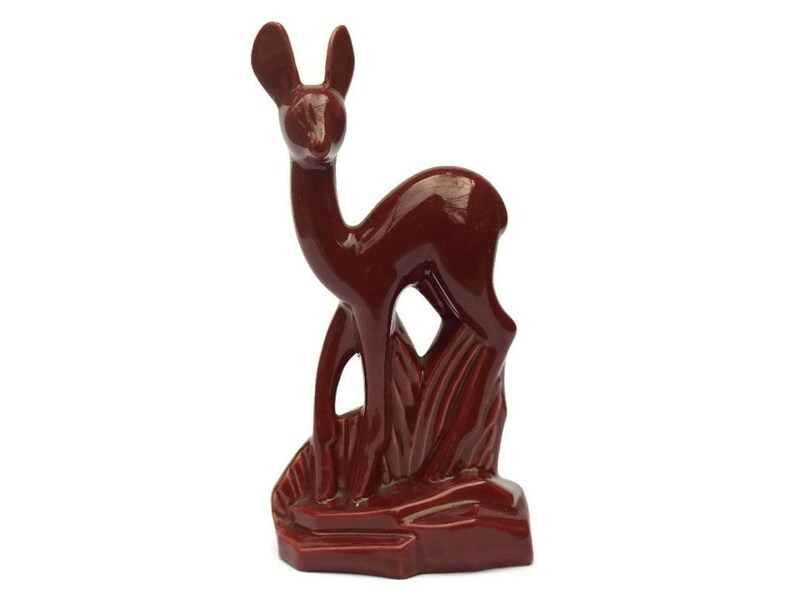 The ceramic deer figurine is in very good condition with light wear. There are no chips or cracks.